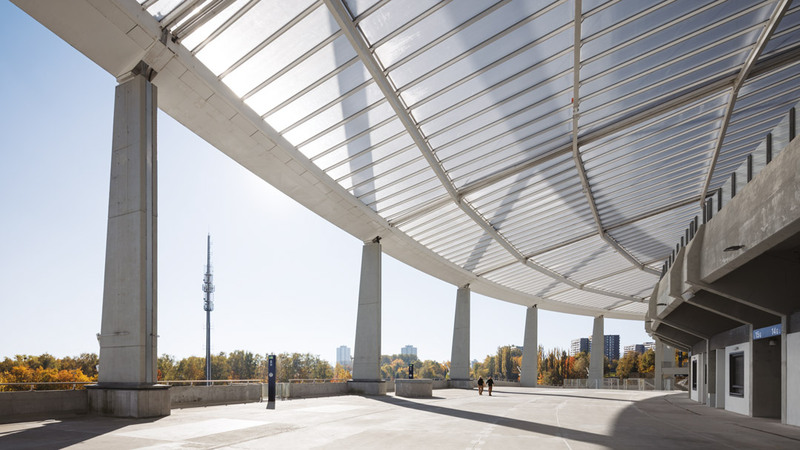 The old stadium of the Polish city, which has been rebuilt several times, has undergone a new aesthetic and functional update, equipping itself, next to the football field, with an international athletics facility and a translucent roof on the stands. 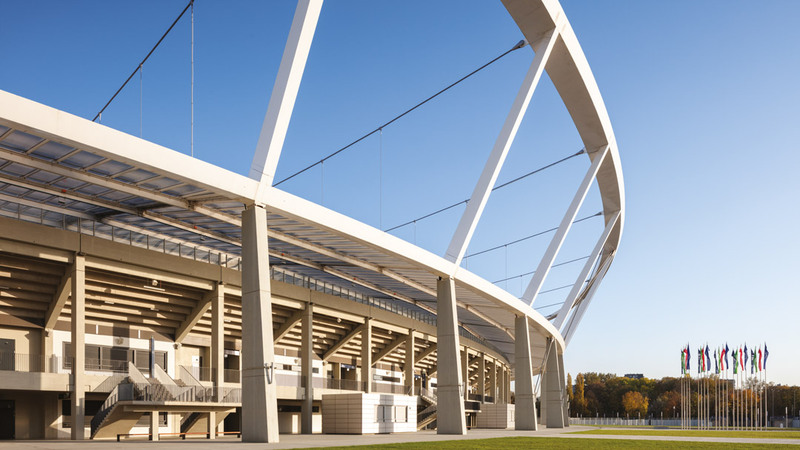 With the completion of the venue the Silesian province has been given a new sports venue for track and field competitions to international standard. The elegant structure complements the historic building from 1956. 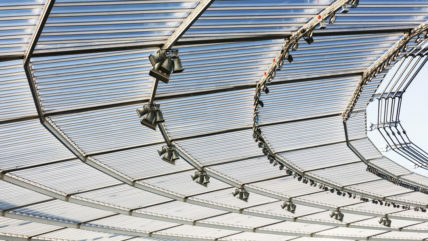 With a total area of 43,000 square meters, the lightweight stadium roof is currently the largest European roof with a translucent polycarbonate skin. 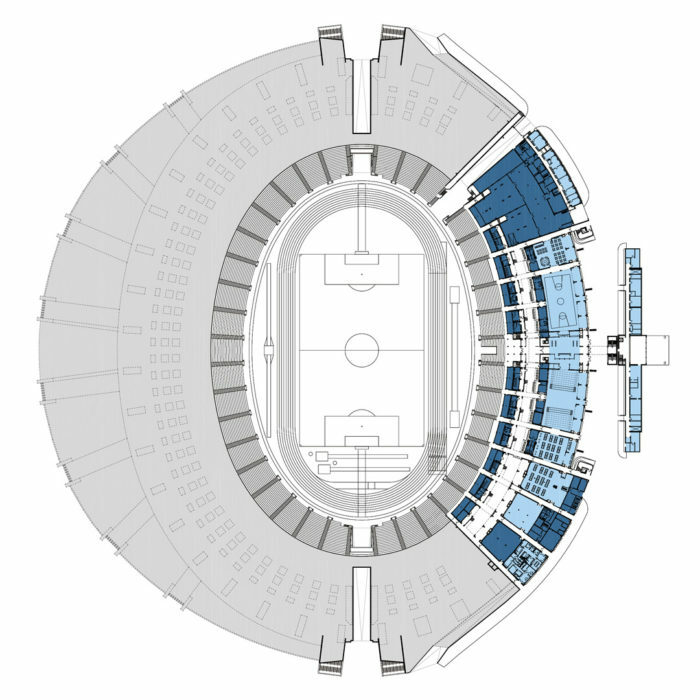 Originally, the stadium had been designated as a reserve venue for the 2012 European Football Championship, but today the focus is more on hosting national and international track and field competitions. The modernized infrastructure and new services installations in the stadium are also designed to enhance the suitability of the venue for traditional concert performances. 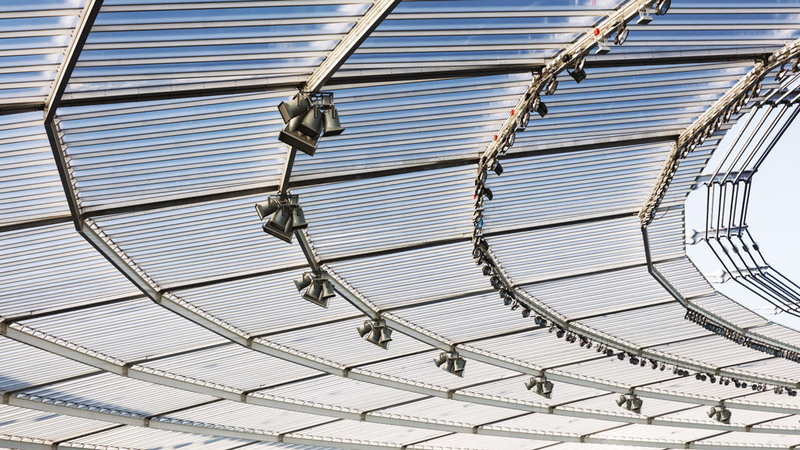 An elegant tensile structure has been installed independent of the existing grandstands and ensures that the bright, open-air character of the stadium is largely retained. The tensile structure was erected with 40 restrained reinforced concrete columns at the required height of 37 meters above the pitch; its structural system is based on the principle of a bicycle wheel rim, with an upper and a lower external compression ring and several spokes in the form of tensile cables attached to the inner rim of the roof. 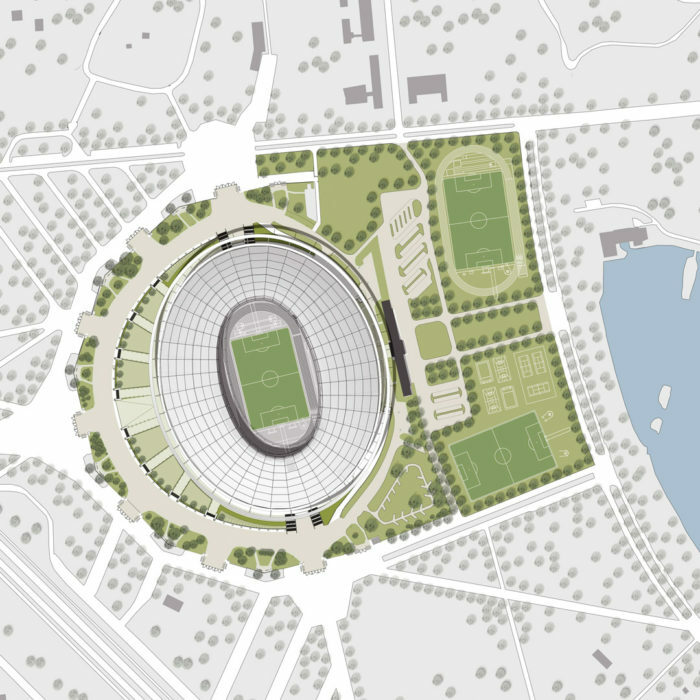 The heterogeneous appearance of the structure with its existing and added grandstands with their different basic geometries has been unified by the oval roof construction, resulting in a homogeneous overall structure. With the conversion of the Śląski stadium, Poland has acquired one of the largest and most up-to-date track and field arenas in Europe. 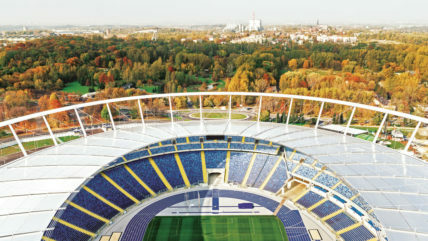 The traditional Silesian colors, yellow and blue, have been used for the color scheme of the light-flooded interior of the stadium and the running track. Cesena: Adaptation of the “Manuzzi” Stadium for the Under-21 European Championships.